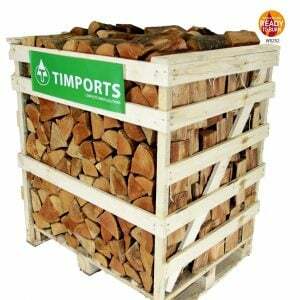 Why buy low moisture kiln dried hardwood logs? If you use logs high in moisture you’ll find that they either wont burn well or not burn at all! Using this type of log could cause excessive smokiness, tar build up, discolored glass (if using a wood burning stove) and can even damage chimney flues and possibly cause chimney fires. It’s said that dense hardwood is normally heavier than softwood so burns more efficiently as long as it’s not wet. Moisture content varies. Kiln dried logs would normally be around 20% which has better heat output whereas green logs would have 35 – 60%.